Edible gives you a behind-the-scenes look at the Pioneer Valley's food culture that you won’t find anywhere else. But that’s not the only reason it’s essential reading for anyone who lives in or visits our region. 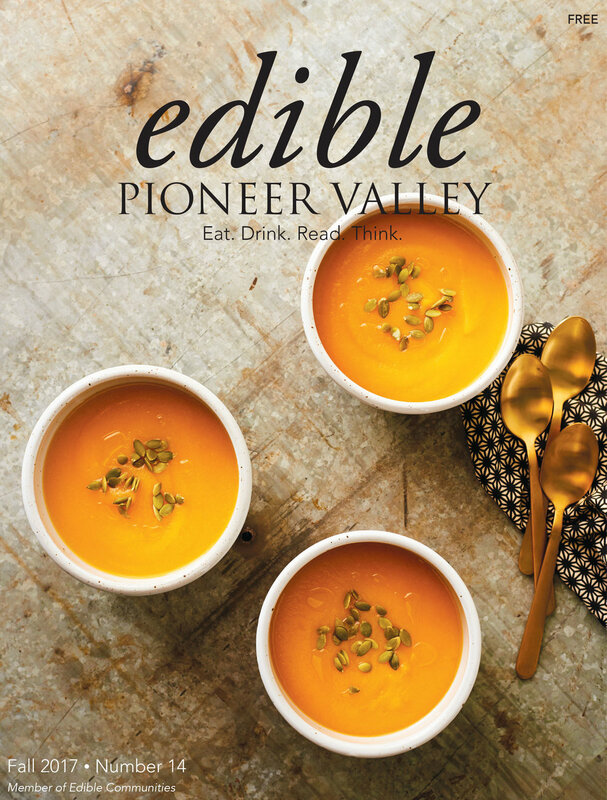 When you subscribe you become an Edible Pioneer Valley insider – and hear first about events, online giveaways and other edible happenings. You can find copies throughout the Valley, but make sure you never miss an issue by subscribing now! Subscribe securely online. Buying a gift subscription? Just put the recipient's address in the shipping field.